When one of the Inner Circle goes missing, Reeva intensifies security in their compound, but realizes that her plans may have already been exposed. Furious and paranoid, Reeva resorts to violence. Air Date: Tuesday, Feb. 5 (9:00-10:00 PM ET/PT) on FOX. 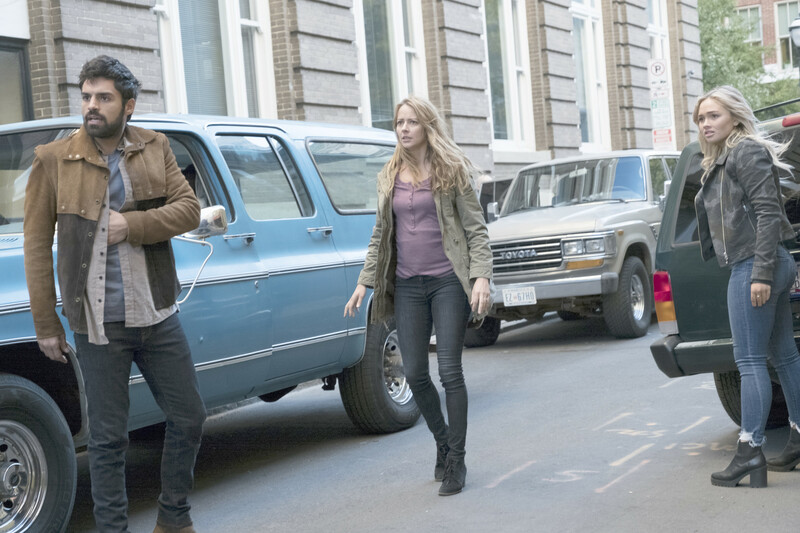 THE GIFTED: L-R: Sean Teale, Amy Acker and Natalie Alyn Lind in the "calaMity" episode of THE GIFTED airing Tuesday, Feb. 5 (9:00-10:00 PM ET/PT) on FOX. ©2018 Fox Broadcasting Co. Cr: Chuck Zlotnick/FOX.